The rise and fall of a Berlin startup. Two years before joining Facebook I co-founded a startup in Berlin where we made an app called Amen: the best and worst of everything. The frenzied startup haze is finally beginning to lift and I've come to realize how apt our tagline really was. Below are some musings about what we built and what we learned, what we did right and what we might have done differently. Mobile, local, social! This was the mantra for startups looking to raise money in early 2011. Instagram was becoming a big deal, Foursquare mayorships were still fun and Snapchat didn't yet exist. Facebook’s mobile presence was an underperforming HTML5 app and only Google had figured out how to make money on the internet. Investors were willing to back ideas that offered the promise of being the next twitter, with or without solid revenue models. We did an excellent job of creating pre-launch hype. So much so that when we announced Amen on stage at TechCrunch Disrupt in the spring of 2011 it felt like the audience was waiting for us to pull a larger-than-life rabbit out of a hat. There were benefits to the hype, of course. We saw over 20,000 sign ups on the first day — not bad for 2011 — and in the days after the launch we watched our numbers climb. Amen had a feisty feel and some successful game mechanics. The feedback loop worked like this: I would post a polarizing statement, “Berghain is the best place for dancing in Berlin” and my friends could up-vote my opinion by giving it an “Amen” or say, “Hell No!” and enter what they thought was the best place for dancing in Berlin. Voila, a list was born: The Best Places for Dancing in Berlin. We hoped to become the definitive guide for the best and worst of everything, but as our system grew a few unexpected things happened. First, it turned out that the most enjoyable lists often weren't at all useful. 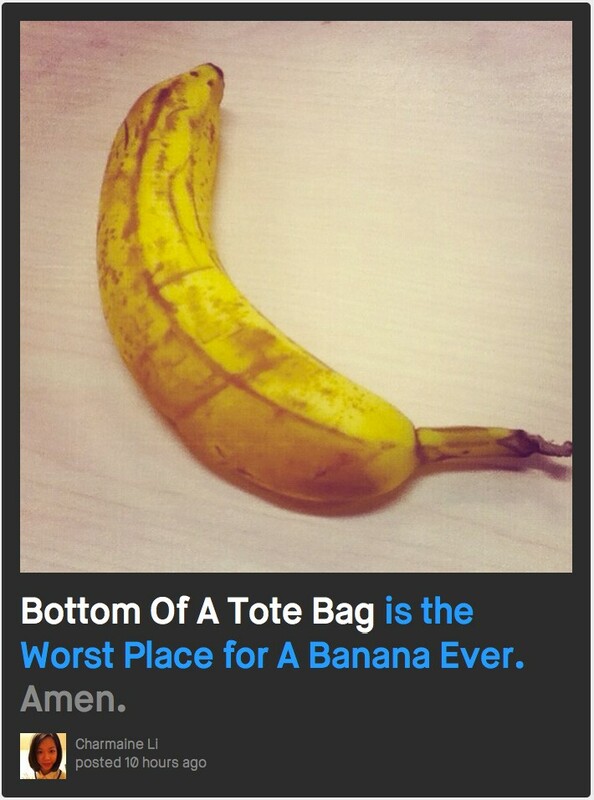 For example, The Best Nerd Activity (geocaching), or The Worst Place to be a Banana (Bottom of a tote bag). We didn't know what to do about this. Second, we launched without a way to find lists that might be useful to you and we relied on our feed to distribute opinions. In retrospect these two decisions probably helped perpetuate less than useful opinions. Lastly, and most unexpected, we noticed that a core group of very active people were using Amen to ‘chat’ with one another rather than share opinions. The best way to tell CherryLolliXO she’s amazing is to post on Amen!!! Hell no, actually the best way to tell CherryLolliXO she’s amazing is to write her a letter and mail it with looove! What do you do if your most active users are doing something you didn’t intend and as a byproduct are filling your system with what you consider to be low-quality content? Do you build a product for them or do you cut them off? Much to their dismay, we did the latter. When we started Amen we told ourselves that we were going to win. None of this half way, sort-of-working, tedious slog that companies all around us were experiencing. No sir, we were going big, or else. It was a panicky feeling to find ourselves a year later neither winning nor losing. We had good retention numbers and in between the chatter funny and useful lists were emerging. It seemed possible that we were just a tweak or two away from success and we spent many months hoping to find the one feature that would fuel Amen’s entry into the mainstream. We built comments for CherryLolliXO. We added a discover tab so that our globetrotting friends could find lists wherever they traveled. We introduced a text over photo feature and spent time improving profiles for reasons I can no longer remember. We hired a growth expert and spent several person-weeks A/B testing landing pages before eventually conceding that we needed to try something more radical. Our big idea hinged on structured data (Germany is a very ordered place, what can I say?). Amen was going to order the worlds information and be the first service to algorithmically understand how people felt. Our very first design cycles were spent perfecting a playful yet structured interface for posting opinions. Our feedback mechanics (upvoting and disagreeing by offering an alternative) were rich, collaborative interactions but more importantly they generated structured lists. As tied to structure as we were it’s surprising that we didn't invest more time to understand why people were drawn to lists. Did people need help making a decision about what to buy? Did people want to know what was trending among their friends in real time? Or, did people just enjoy the mindless exercise consuming ‘best of’ lists? We didn't know, so we kept hammering away at a solution that in the end seemed to not address any specific problem. One use case that worked well in our app was finding the best places nearby. Sharing opinions about places felt natural in our system and in hindsight it seems possible that Amen, rather than some combination of Yelp and Foursquare, could have become the app to open anytime you wanted to find the best local pizza option. Alternatively, we could have focused on providing product recommendations from your circle of friends, taking on Amazon’s recommendation engine for the best baby monitor, brake fluid or vacation novel. A harder pivot would have been to let go of structured data all together. People were having fun co-creating memes and building off each other’s humor. Why was this happening? Were the constraints around structured posting enabling this creativity? I wish we had dug into this further. Any one of these pivots would have required us to ditch a bunch of things we held dear, but in the end might have lead to a more understandable service and one that provided real value. Thanks to Carl Winner and tom wang ツ. Designer at Facebook, part time painter, aspiring farmer.